I LOVE easy, fresh, and delicious salads. 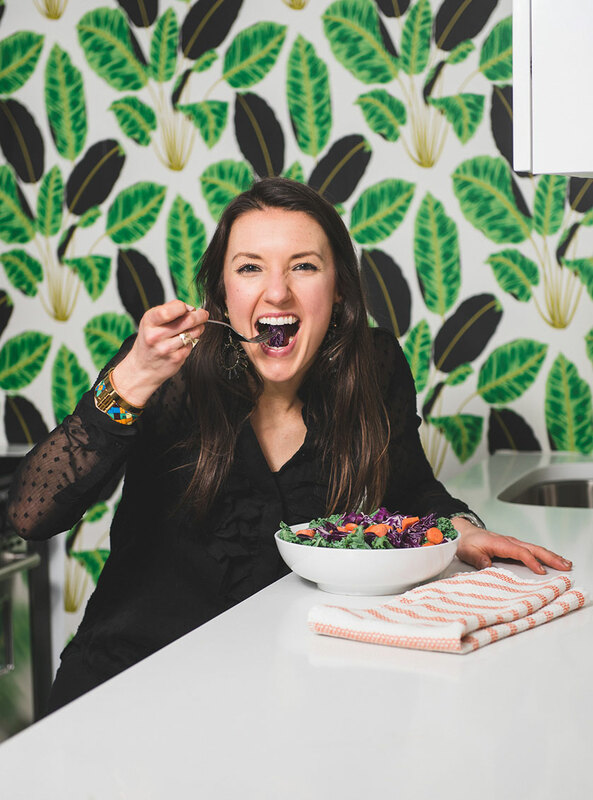 In fact, I eat one most days of the week- because they energize the middle of my day (the time of day that’s likely to be the least energized) and they really help to fill me up and make me feel great. So I want to share one of my favorite, easy salads with you that I love to make. The coolest part of this salad is that part of it comes right from my in-apartment garden (how COOL is that! )- the basil. 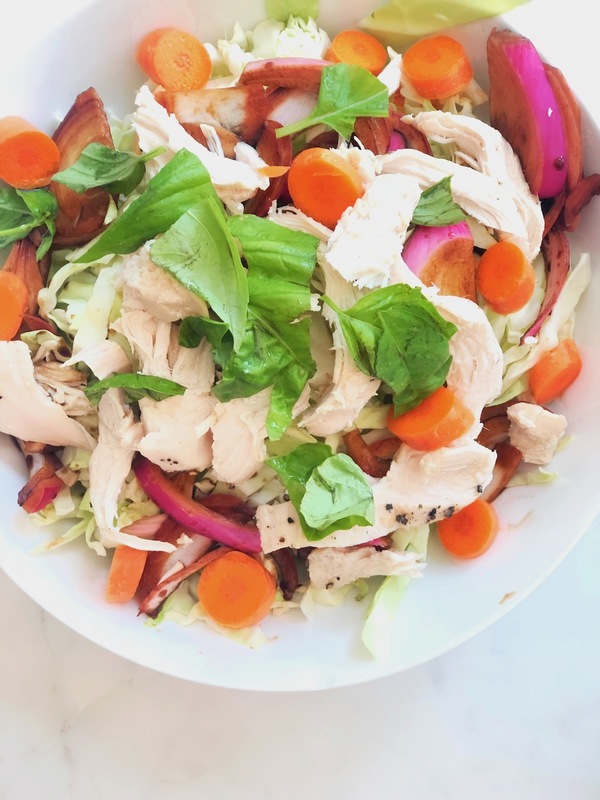 You can add whatever extra ingredients you like to this salad, but this is just how I like to make it– SUPER simple and easy. You can also switch up the dressing and the protein- to be whatever you like it to be! Happy munching and I hope you love this easy salad! Wash and prepare your ingredients. Place the ingredients into your serving bowl that you plan to eat out of. Add the dressing to your salad. Want more salads just like this one? Click here!